Admission counter is at the eye-sight of main lobby or you can apply online. We help you to get a fast admission through minimal paper attack, that can kill your time as well high the illness. 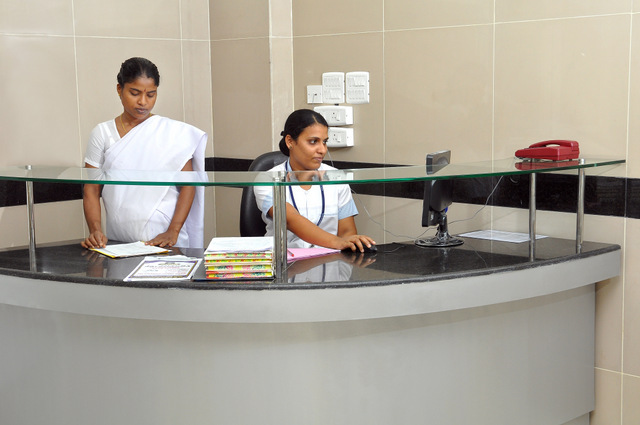 We need your quick recovery at the right time without creating any disturbance in you.On admission you get a unique identification number that will be referred instead of your name in all your hospital procedures. This number can also help you in your future admission. Online appliers please note to bring your id number(will be available in your mail) while you come hospital. Select a suitable class of accommodation( details in “your hospital stay” ).Please note that your hospital charge will increase as per a higher option of class. Online applier’s bring your ID Number available in your mail. The medicines you are currently consuming and all concerned previous Medical Reports and X-rays An identity proof will help us to know you. This is done as a security due to the heart breaking current issues. If you are in need of urgent medical attention, approach the Emergency Department on the ground floor at the entrance to the hospital. After a medical examination, you may be admitted as per the advice of the Casualty Medical Officer on duty.